While we may well know that the most important nutrients for people with osteoporosis are calcium and vitamin D, there are differing ways to keep ourselves in good supply of these vital foods. Eating the right foods is one method, supplements are another. But how do we find the right ones, the correct products that will be helpful. How do we trust labels? Beginning the search with the knowledge that calcium is a key building block for your bones, and Vitamin D plays the role of helping the body to absorb calcium, you need to be sure of various product claims in law. Labelling is a serious matter, and companies cannot inscribe just anything on their packaging. Grey hair. This is always useful because assistants tend to be more helpful. This must be supported by a look of bewilderment. This is not difficult because there are probably at any given time about 500 choices on the shelves. Bewildered, grey-haired people generally get immediate attention. Exercise. This is vital because you are going to have to either stretch for the product, or bend down to the bottom shelf. So, ahead of the visit it’s a good idea to do some yoga, boxing or trampoline work, to limber up the back muscles before you begin browsing the store. Allow yourself a few hours for this process. Glasses. You are going to be expected to read labels in such diminutive print that a magnifying glass would be most beneficial. That, or a telescope with the power to pick up a small movement on Mars would probably serve equally well, although there may not be quite enough room for it in the aisles. A doctor’s appointment. It’s a good idea to set this up beforehand – because if your osteoporosis was not of great trouble before your shopping, this may not be case when you leave. Spending hours cross-eyed and creeping around while bent over reading labels may result in the need for medical attention on the way home. Adequate calcium and vitamin D intake throughout life in a healthy diet can be beneficial in reducing the risk of osteoporosis risk. However, the claim must not imply that inadequate intake is the only risk factor for the development of osteoporosis. The food for which the claim is being made must contain at least 110 mg milligrams of calcium. The calcium content must be digestible (that would be nice). The claim may include the term “vitamin D” only if the food meets or exceeds 80 International Units of vitamin D.
The claim may include reference to physical activity as a factor in reducing the risk of osteoporosis. The claim may use the phrase “build and maintain good bone health” in reference to optimising peak bone mass. The claim may also state that adequate intake of calcium can slow the rate of bone loss for individuals with a family history of the disease, as well as post-menopausal women, and elderly men and women. 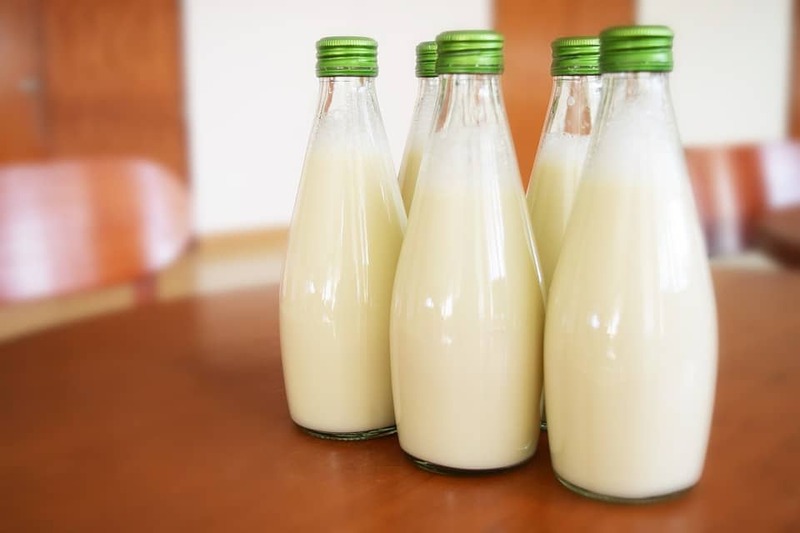 Foods such as milk, yogurt, cheese, and other dairy products have high levels of calcium, and also other key nutrients for bone health, such as phosphorus and protein – but when reading labels, make sure you find foods and drinks that promise the correct daily percentage of nutriments. Other fortified foods such as calcium-fortified orange juice, plant-based milks (like soy and almond milk), and cereals, often show valuable labelling for calcium and vitamin D.
In short, whatever wording they chose to use, you should be safe in the knowledge that, factually speaking, adequate calcium and vitamin D intake throughout life as part of a well-balanced diet, and along with regular physical activity, may positively reduce the risk of osteoporosis in later life. Remember that your total calcium intake per day from diet or diet plus supplements should be 1000 mg and your vitamin D intake should be approximately 600 International Units (IU). Eat well, move well. Limber up – and love your bones.